Achieving Your Dreams Do you want to do a difference? Was one of you dreams about happiness? The majority of us pretend happiness is around the corner, almost within reach. As long as we come to the other side of the New Year. Now if only we try a little harder, earn a little more, put a few more goals, find another partner, take one more training, get a second child, it happens … Then we are happy! But “Project Happiness” is a mirage, which very rarely come true and even more rarely maintained for very long. Often we describe happiness as something that comes in flashes, in seconds or minutes at a time. But who says it need to be? Why do we think that happiness can only be experienced glimpses? And how are you trying to achieve happiness every day – consciously or unconsciously? You know the saying: The glass is half empty or half full? It is up to you to decide. 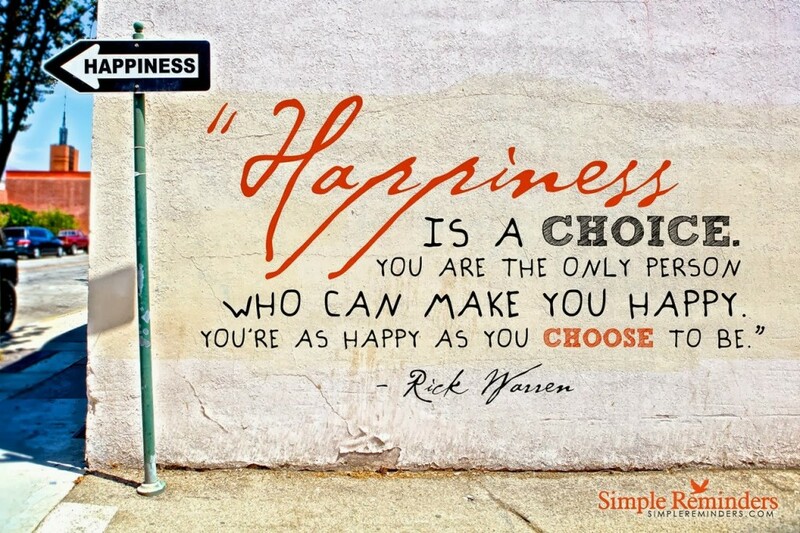 I believe that happiness is a choice, and its a choice you make EVERY DAY!! !